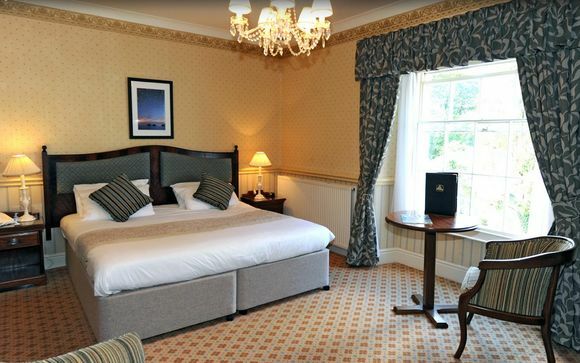 Lamphey Court is a classic yet contemporary hotel, with beautiful grounds, a spectacular spa and an excellent restaurant. Surrounded by landscaped grounds, this grand Georgian mansion is in the heart of Pembrokeshire, near to Tenby and the stunning Barafundle bay. 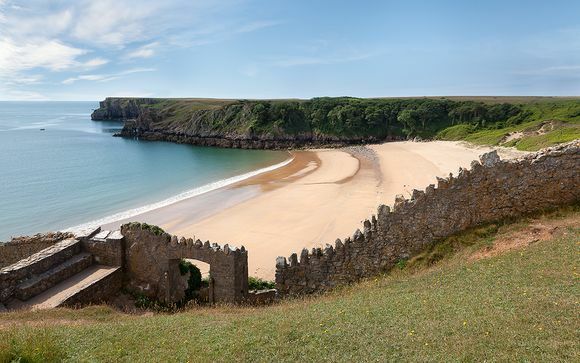 Voted the second best coastline in the world by National Geographic, Pembrokeshire boasts spectacular scenery with mighty Norman castles, coastal footpaths, and renowned nature reserves. Lamphey Court Hotel & Spa is set in a spectacular location with secluded sandy beaches and coves just a short distance away. The Pembrokeshire coast beat off stiff opposition from the likes of Chile, Hawaii, New Zealand, and Australia to be voted the second best coastline in the world by National Geographic, and once you visit, it's easy to see why. It is a delight to drive, cycle or walk and simply enjoy the spectacular scenery, with the 200 miles of coastal footpath attracting hikers of all levels. Well worth a visit is the picturesque seaside town of Tenby (8 miles), Pembroke castle (2 miles) and glorious Barafundle Bay (5 miles). Or, you can just browse Lamphey's scattering of antique shops, arts and craft studios and quaint pubs. This restored Georgian mansion is set in beautiful grounds, with stunning views over the Pemrokeshire countryside. It is home to 39 cosy bedrooms, a beautiful spa and an excellent restaurants. The decor is elegant and cosy - Georgian sash windows and high ceilings flood the rooms with natural light, while open fireplaces and warm toned decor create a welcoming and cosy atmosphere. 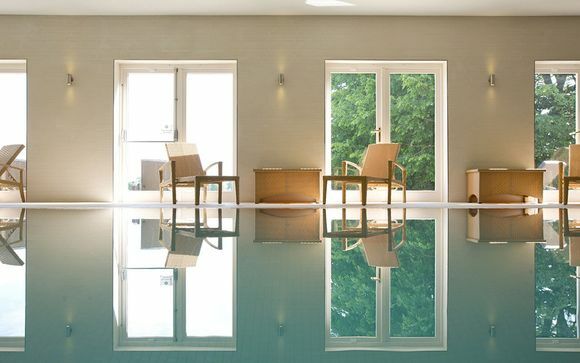 The perfect place to indulge in good food, pampering spa treatments and make the most of the fresh air and inspiring scenery of this beautiful part of Wales. This offer is based on a Coach House Double Room. These generously-proportioned bedrooms feature stylish modern bathrooms and nods to the building’s Georgian heritage. Amenities include WiFi and a flatscreen TV. The Georgian Restaurant offers an elegant dining experience with an outstanding gourmet menu, while the Conservatory provides a more relaxed feel, with stunning views across the Pembrokeshire countryside. Both menus focus on seasonal British fare from local supplier, such as lobster from Freshwater Bay, salmon from the River Teifi and lamb from the Preseli Hills. Recharge your batteries and warm up in the chilly Winter months, at the peaceful hotel spa complex. By Road: From Carmarthen take A40 to St Clears, then follow the A477, turn left at Milton village for Lamphey and watch for sign at the crossroads. By Rail : There are fast train services from most parts of Britain and through trains in summer. By Air: Cardiff airport is 90 minutes away.